Know your risk. You may be living in an area of high potential hazard for flash flooding and not even be aware of it. Flood risk maps are available from agencies such as FEMA or your local emergency management office. These maps depict flood risk for your local community and your specific address. A high-risk zone means you have at least a one-in-four chance of experiencing flooding. In designated high-risk zones, you are five times more likely to experience damage from a flash flood than from a fire. Reduce potential damage. 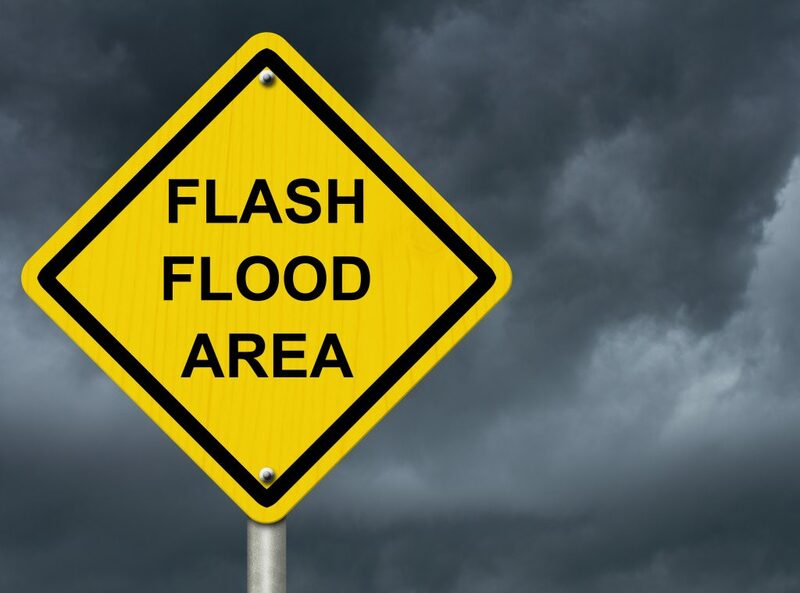 If you live an area where flash flood risk is high, certain home improvements may help reduce damage. Elevate critical components such as electrical panels, appliances and HVAC systems where they will be less likely to contact water. Waterproof the basement to reduce inundation due to high ground water during a flood. Make sure a basement sump pump is installed and test it several times a year to verify that it functions properly. Store valuables and important documents on an upstairs level of the house or some other safe place. Be prepared to evacuate. Become familiar with the fastest and safest routes out of the affected area to higher ground should a flash flood strike. If local authorities issue a flash flood warning, evacuate immediately and don’t wait for additional signs of impending high water. Don’t drive or walk through any flooded areas, as only a few inches of water during a flash flood can be dangerous. This entry was posted on Tuesday, April 9th, 2019 at 8:48 pm and is filed under Tips & Safety, Water Damage & Cleanup. You can follow any responses to this entry through the RSS 2.0 feed. You can leave a response, or trackback from your own site.